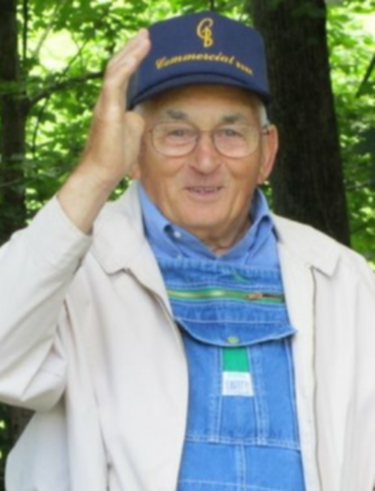 Carl Prater of Rockhouse Creek, Salyersville, KY, passed away Friday, January 18, 2019 at his home at the age of 92 years, 1 month and 1 day. He was born on December 17, 1926 at Grayfox in Magoffin County the late Tommie and Louise (Phipps) Prater. Carl married Dorothy Kennard Prater on February 24, 1948. They were blessed with five children: Deward Allen Prater, William Charles Prater, Kenneth David Prater, Linda Gail (Prater) Finch and Mitchell Lee Prater. Carl was saved, baptized and joined the church. He was dedicated to his Christian life. He served as a Deacon of the Martha Enterprise Baptist Church. In addition to his parents, Carl was preceded in death by one son, William Charles Prater; one granddaughter Tamera Jeanine (Prater) Patrick; one great grandson RJ Montgomery; three sisters Myrtle Williams, Maxie Kennard and Dolly Prater; and one brother Roy Prater. Carl is survived by his loving wife of 70 years Dorothy Kennard Prater; four children: Deward Prater, Kenneth and Brenda Prater of Salyersville, KY, Linda and Steve Finch of West Liberty, KY, and Mitchell and Brenda Prater of Grassy Creek, KY; five grandchildren: Gretta and Freddie Hylton, Crystal and Adam Montgomery, Amanda and Brian Lee, Kim Peyton and Mike Hall, and Michael and Faith Prater; 11 great grandchildren: Carla Hylton and Hunter Williams, Trevor and Brittany Montgomery, Tanner Patrick, Matthew Hylton, Keyarin Montgomery, MaKayla Montgomery, Garrison Holliday, Alex Lee, Angel Montgomery, Kathryn Montgomery, Jon Montgomery; three great-great grandchildren: Lukas Montgomery, Korbin Montgomery, and Bentley Williams. Funeral services will be held on Monday,1:00pm January 21, 2019 at the Herald & Stewart & Halsey Funeral Home with Brother Dean Ball, Brother Cortis Ison, and Brother Roger Ball officiating. Burial to follow in the Prater’s Family Cemetery. Visitation will be Sunday, January 20, 2019 at 6:00pm at the Herald & Stewart & Halsey Funeral Home. Pallbearers for the funeral will be Michael Prater, Brian Lee, Adam Montgomery, Trevor Montgomery, Garrison Holiday, Matthew Hylton, Freddie Hylton, Michael J. Hall, and Mike Hall. Carl Prater lived an ordinary life that has left behind an extraordinary legacy. He married the love of his life, his baby, Dorothy at the age of 21. Together they had 5 children, 6 grandchildren, 11 great grandchildren and 3 great-great grandchildren. They celebrated life together, mourned losses together, and built a life-time of fond memories to be cherished forever. Carl’s days were spent on the land doing what he loved most: tending the soil and caring for his family. He took great pride in each blade of grass and every inch of land he owned. His hills were clear and his garden flourished. In the early days, Carl was known for being a rural mail carrier delivering the mail by riding a mule. During the past year, he could be found wearing his overalls in a chair on the hillside weed eating at the age of 91. Busy working meant happiness to him. Carl never met a stranger. He loved long conversations. He was known for striking up a conversation with old friends as well as strangers he had just met. Carl loved reminiscing of precious memories, he loved sharing strategies for all types of mechanic work and disclosing secrets for how to grow the best garden on the creek; but mostly he loved sharing his pride of his family and hearing how his neighbor’s families had flourished as well. Carl loved people and he truly lived by the Golden Rule. Reflecting on his life, anyone who knew Carl would say he was a hard-worker who cared deeply about everyone he knew. In his lifetime, he built a home filled with laughter, love, and kindness. He can best be described as an honorable man who was strong yet gentle, kind and loving. His traditional beliefs made him one of a kind. He would often reference the Bible in relation to the ever-changing morals of society. Although times changed, he never swayed from being true to the values he knew to be most important. He felt a man should love and honor his wife and his sole purpose was to provide for his family. He had no trouble leading those around him by example.